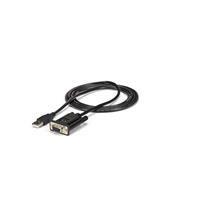 The ICUSB232FTN FTDI USB to Null Modem Serial Adapter Cable (1-Port) converts an available USB 1.1 or 2.0 port into an RS232 Null Modem serial DB9 port, solving DCE/DTE conflicts directly, without requiring additional cross-wired serial cables or adapters. This compact adapter features COM retention, allowing the same COM port value to automatically be re-assigned to the port if the cable is disconnected and re-connected to the host computer, or if the system is rebooted. The integrated FTDI chipset supports additional customization, advanced features, and compatibility not necessarily offered by other solutions. 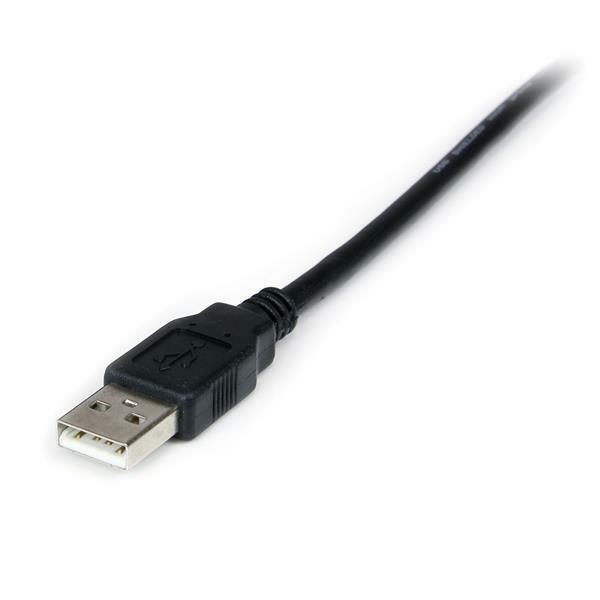 The USB to Null Modem adapter is compatible with a broad list of operating systems including Windows®, Windows CE, Mac OS and Linux, making it easier to integrate into mixed environments. 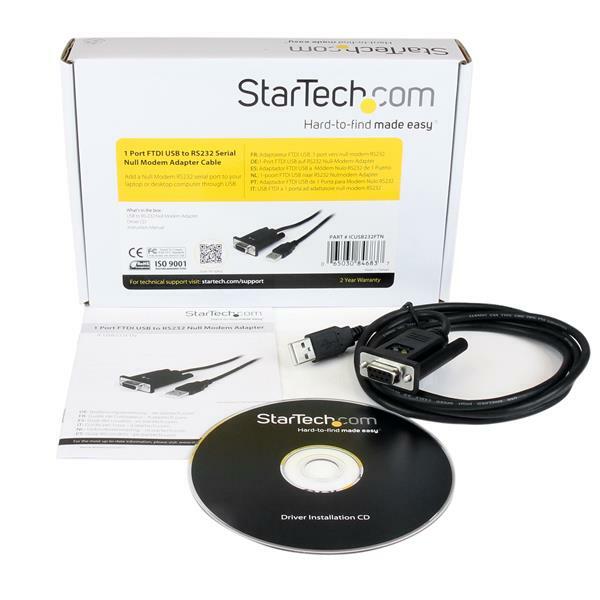 I bought the product and was impressed with it. However It was the wrong end for my Printer cutter. I called to return it and was very happy with your customer service who walked me through the process. Thanks for all your help. Works great with my Uniden Radio Scanners no problem at all just plug and play.